On Saturday, August 12th, Topps, MLB and the MLBPA are bringing back National Baseball Card Day for the second consecutive year. And while the overall draw remains the same — free baseball cards — pieces are evolving to make 2017 National Baseball Card Day bigger and better for both collectors and participating shops. 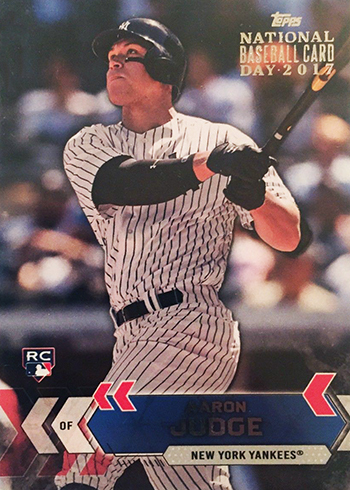 The 2017 Topps National Baseball Card Day set has 29 cards. It’s one for every MLB team except the Los Angeles Angels. But they’re not left out. 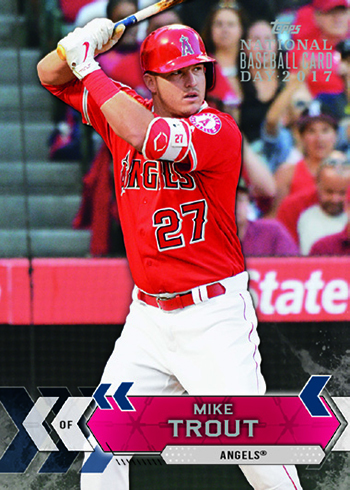 An exclusive Mike Trout card is available to customers who make a $10 purchase in shops. This is similar to a Kris Bryant card in the 2016 set. Randomly inserted hits like autographs will be included as well. Bryce Harper, Aaron Judge, Carlos Correa and Andrew Benintendi are among the signatures that can be found. 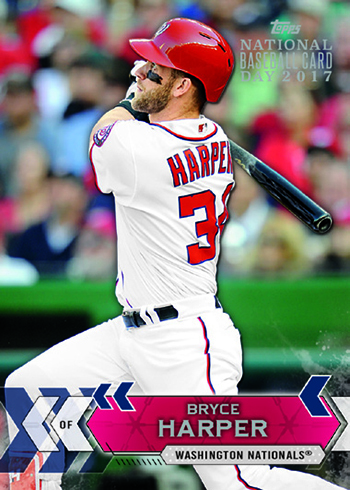 Topps, MLB and MLBPA are doing several things to promote 2017 National Baseball Card Day. In the weeks leading up to August 12 (and a couple immediately after), every MLB stadium will be distributing packs at games. These packs have team-specific cards different from the national set. On August 11, players will be getting involved by opening packs on social media including their personal accounts. Like last year, they will also be handing out packs to fans at stadiums. Contests are also part of the plans. As part of their promotion package, shops will have prizes for a handful of people. Topps will also randomly select five shops to give out larger national prizes.